Learning to eat in a way that lowers your inflammation is a journey rich in rewards. Not only are you gathering powerful knowledge about your particular auto-immune responses, but you are working on preventing many chronic health conditions. It can sometimes be overwhelming to begin a new style of eating and living. Luckily, there is an app that can help you with my 21-Day Inflammation Solution called Suggestic. If you have struggled to adopt the modified Mediterranean diet that I promote in my 21-Day Inflammation Solution or are brand new to the ways of this eating program, Suggestic can be a massive help in guiding you through the ups and downs. Let me explain what Suggestic is and the advantages of using it. I’ve seen many begin this adventure. The key is patience–total mastery of this lifestyle isn’t something you do in a day or a week. The 21-Day Inflammation Solution, a modified Mediterranean diet–seafood, healthy fats like olive oil and avocado, whole grains, fruit and lots of green, leafy vegetables–takes time and practice. For many, three weeks is just the beginning. Eating to reduce the inflammation affecting your body is just the first step to feeling better. What comes next is the process of healing from the effects of these autoimmune reactions–to gluten, eggs, or soy, if any of these are an issue for you–restoring hormone and nutrient balances in your body, and continuing to reverse that inflammation. Once your body is no longer exposed to the foods that are creating the inflammatory responses, chronic conditions clear up. The weight comes off. Sleep is deep and you wake up feeling rested and restored. Headaches disappear. Your joints no longer ache, and your energy levels are amazing! The 21-Day Inflammation Solution has been shown to improve insulin sensitivity and reduce inflammation. Swap heavily processed foods for whole foods and you can reduce the risk of many chronic diseases as well as lose stubborn pounds–and feel years younger. You dramatically slash chances of getting a long-term illness like type 2 diabetes, and look and feel so much better in the process. Your iPhone can now support your anti-inflammatory lifestyle and help make staying on my 21-Day Inflammation Solution much easier. 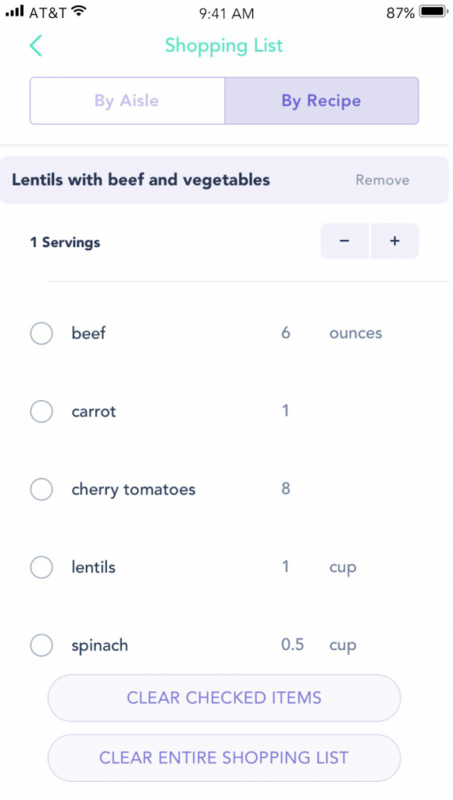 Suggestic is the most helpful anti-inflammation diet app that I have found and I have been using personally. I recommend that everyone give it a try. 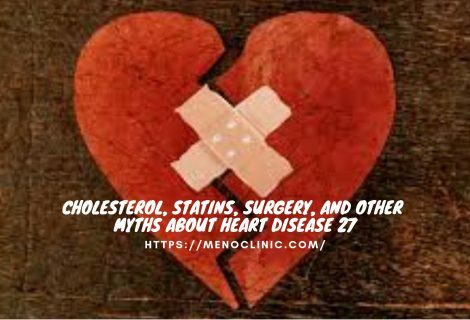 At the Meno Clinic, my medical practice in Jackson Hole, Wyoming, most of the people who walk in the door are in some sort of pain. I’ve seen thousands who were at their wit’s end, having spent months and years trying to get a diagnosis that would result in a successful treatment so they could heal their chronic health conditions. So often I learn that the root of the problem involves an autoimmune response that is triggering dangerous inflammation. 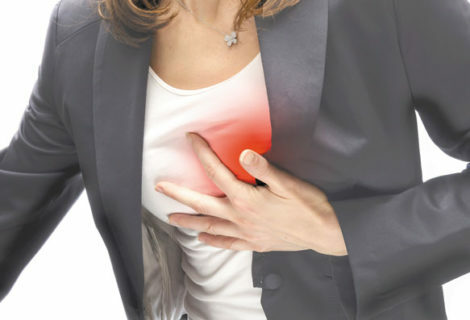 This inflammation is often at the heart of the pain. 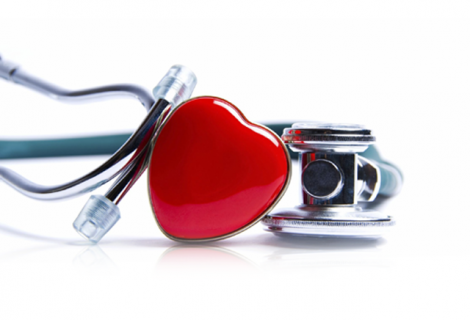 If it’s an ongoing event, then likely there are vitamin and mineral deficiencies that are also contributing to the patient’s poor condition. I have my own history of food sensitivity and it was through careful trial and error that I was able to hone in on the optimal diet for me. Today, I avoid bread as much as possible because it has an instant effect on me that can last for 48 hours. It’s so obvious that my family can tell just by the way I’m acting that I’ve indulged in a bagel. Boy, do I pay the price! When I’m successful, though, I enjoy all the incredible benefits including improved mental function, higher energy levels, as well as optimal digestive health. The 21-Day Inflammation Solution was designed to help you experience the benefits, as well, to adapt this super-healthy lifestyle. 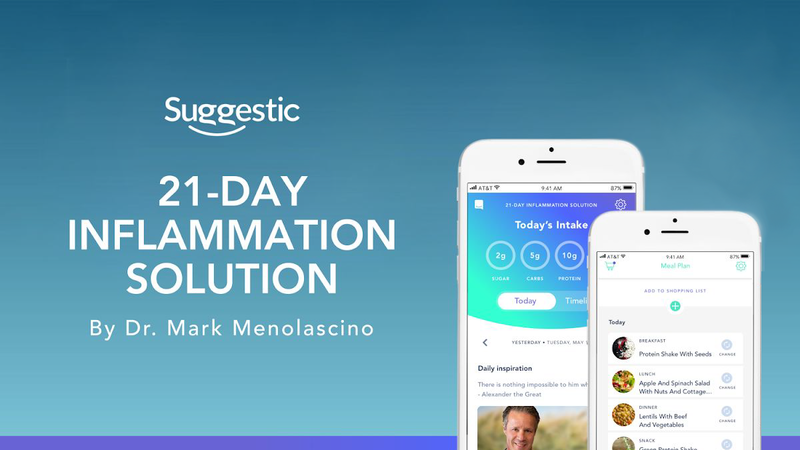 Following the 21-Day Inflammation Solution will be easier for you, too, with the help of Suggestic. Simply go to the Apple app store and download the Suggestic 21-Day Inflammation Solution app onto your phone. It’s free! Once you select my 21-Day Inflammation Solution, a whole world is unlocked. 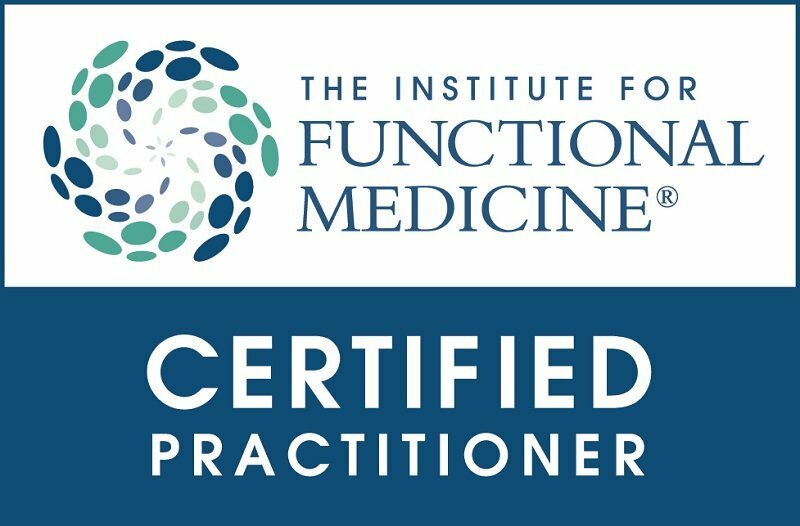 You can learn all about the science of how everyday foods can trigger an inflammatory response–like joint pain or elevated blood pressure–,how to get started on the program, what to eat and what to avoid, and locate restaurants that have options on the menu that works for my 21-Day Inflammation Solution. This 21-Day Inflammation Solution is not just about eating. It’s important, once you sign up, to follow the daily task lists and watch the videos each day. You are 4 times more likely to get results as a Premium Suggestic member taking my journey. With my coaching through the app, emails, and videos, you will learn how to eat what is right for your body, manage stress, and exercise for optimal health. I’m always curious to look back to see how I felt when I tried something new. Keep a journal and track your results, too! I also notice that if I don’t get 7 1/2 solid hours of sleep, I am definitely more cranky and less mentally sharp. Not getting enough quality sleep is a common mistake that signing up for my journey on the Suggestic app can help you pinpoint and fix. Stay on top of these lifestyle aspects and make sure you are getting what you need. On the upside, I also like to note when something was going really well and I could see that, yes, I had good sleep, drank enough water, and was generally in a great mood. Taking my 21-Day Inflammation Solution on Suggestic can help you log the aspects of your lifestyle that yield the most success. 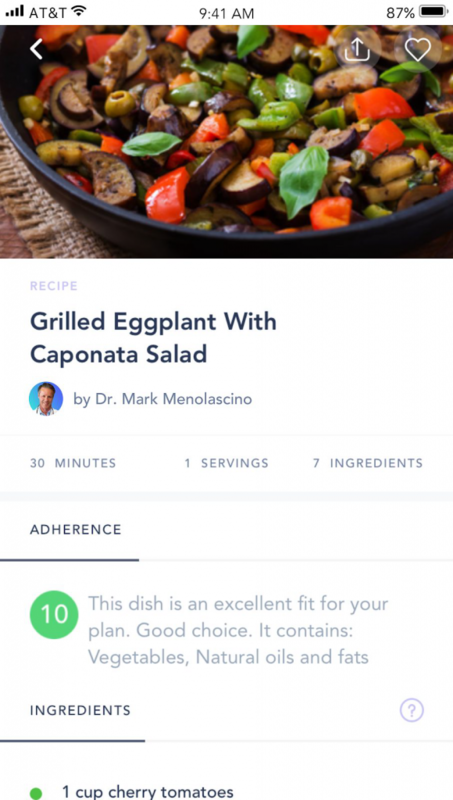 There are so many amazing features on the Suggestic app that are designed specifically to make everyday eating easy while you are following the 21-Day Inflammation Solution. You can log the meals you’ve eaten so you’re never wondering how you are doing. If you’re super busy like I am, you will especially love the grocery list feature. Just tap on the food basket icon and the shopping list for your selected recipe appears. Once you’re at the store, cross each item off the list. Or you can select the breakfast, lunch, dinner, and snacks for your meal plan, then create shopping lists. So easy! You can further personalize your suggestions by adding filters. Don’t like onions? No problem! Just select onions as a food to avoid and Suggestic will filter this food out for you. That means you won’t see any recipes or restaurant menu options with onions. When you sign up for my 21-Day Inflammation Solution on Suggestic, the extra guidance is amazing. Each day you will receive a fresh set of reminders and supportive emails (if you wish). You’ll also have access to exclusive recipes that are specially formulated to keep you deliciously full–remember, this program is not about counting calories! Suggestic aims to solve many of the challenges people face when adopting a modified Mediterranean diet and focusing on anti-inflammatory foods. Once you download Suggestic from the Apple app store (you can download it for free here), you will be guided through each step of the process of getting started. It’s like having a personal nutritionist interview you to determine your goals. The journey for my 21-Day Inflammation Solution on Suggestic is a simple program that gently navigates the detox process. It gives you exactly what you need to reach optimal health and be successful. Once you have the essentials set up—a day to begin, which foods to buy, etc., then your journey is underway. It is a comprehensive 21-Day Inflammation Solution app that guides you in creating the best plan for your health. Each day, you will track how you eat and live. The goal is to stick to anti-inflammatory foods–seafood, whole grains, green, leafy veggies, and other whole foods. Also, you will eliminate bread and sugar, and scale back on caffeine. We NEVER count calories, so feel free to eat as many healthy veggies and organic proteins as you want. To compensate for deficiencies of modern lifestyles (not of the diet), you will need to supplement with a high-quality daily multi-vitamin. Here’s what I love about Suggestic: Preparation is about making sure you have the foods and supplements you need to get through the program. And you will also purge your fridge and pantry of any bread– and anything that has dairy or sugar. I also love that Suggestic has all my recipes! Craving my favorite Eggplant Salad? It’s there! Looking for a healthy snack? Just open the app! Wondering what to make for your family for dinner? No problem! 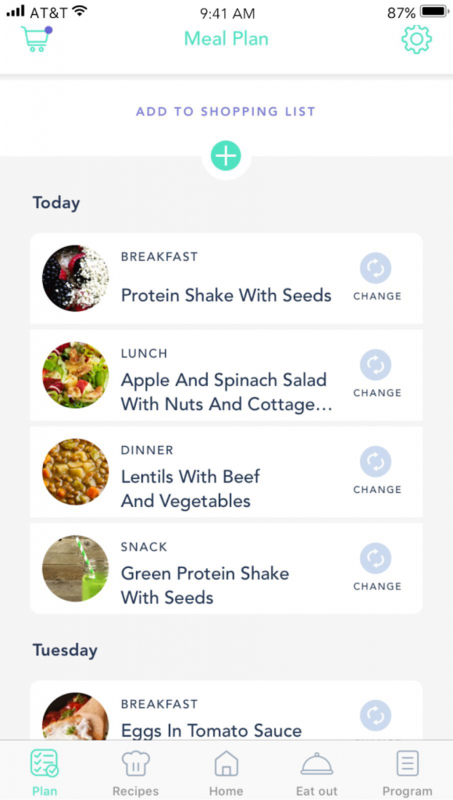 With the meal planner feature, you can prepare for the week so much more easily. Just select meals for each time and day and you’re all set. The 21-Day Inflammation Solution puts together your customized shopping list. I’m often asked about the restaurants for eating the right foods in the area—no matter where I am. So I open up Suggestic and tap the “Eat Out” button. 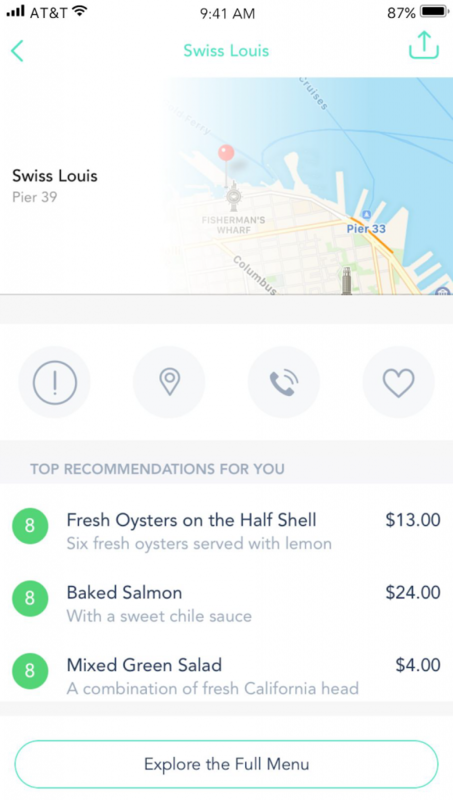 Endless results appear with all sorts of great info like menu choices that are anti-inflammatory, plus I can see how far away, how expensive, even if the restaurant is open at the time I’m searching. Pretty cool. Also, when I get to a restaurant, the app will show me items that fit into the 21-Day Inflammation Solution or not. I don’t have to wonder what to eat and have less educating to do with my waiter about how to prepare my meal. Such a relief. Use Your Smartphone to Support Your Lifestyle! I’ve come to realize how helpful my iPhone actually is in keeping my lifestyle organized and on track. (And don’t worry if you don’t have an iPhone. Suggestic will have an Android version soon. Having Suggestic is super important because it reduces the stress of navigating through a healthy lifestyle in a world that is packed with unhealthy foods. I recommend getting the app and signing up for my 21-Day Inflammation Solution. Experience for yourself what I’m so excited about. Once you sign up and put it to work every day, you’ll never regret it. Rather than planning to be healthy in the future, why not get healthy now? The Silent Killer of Women! 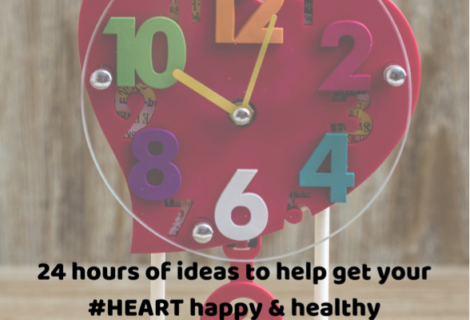 24 Hours of Ideas to Help Get Your Heart Happy and Healthy.